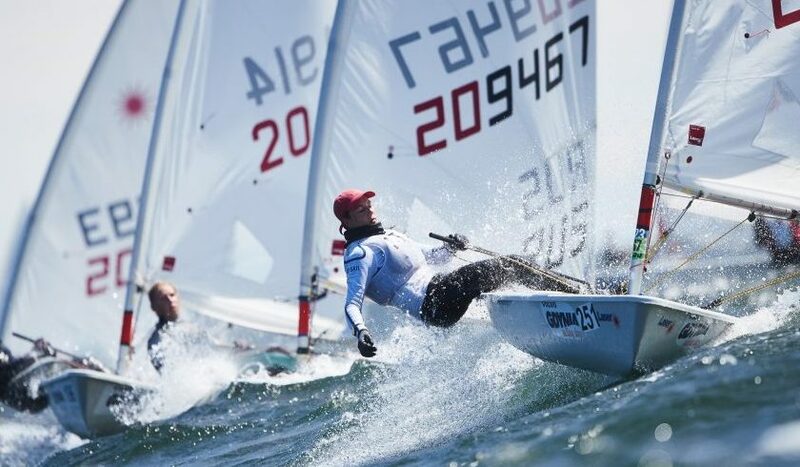 The 2017 Laser Radial Youth European Championship was concluded yesterday with two more races. In the Girls, Wiktoria Golebiowska POL succeeded to replace the leading Elisa Navoni ITA on top of the rankings. Bronze went to Mariia Kislukhina RUS. The Girls’ final ranking list. Leader change also in the Boys, where Nicholas Bezy HKG moved up on the first place of the Open Championship, thanks to two 3rd race ranks. Guido Gallinaro ITA on the 2nd place followed 2 points back and earns the official European Champion’s title. Dimitris Papadimitriou GRE and Ben Whaley GBR at equal points on the ranks 3 and 4 complete the Europeans’ podium. Nico Naujock GER on rank 7 is the winner of the U17 rankings. The Boys’ ranking list.